Multiple colors of appliqués that all change color in the sun! Designed packaging that could be used no matter which color is inserted into it. 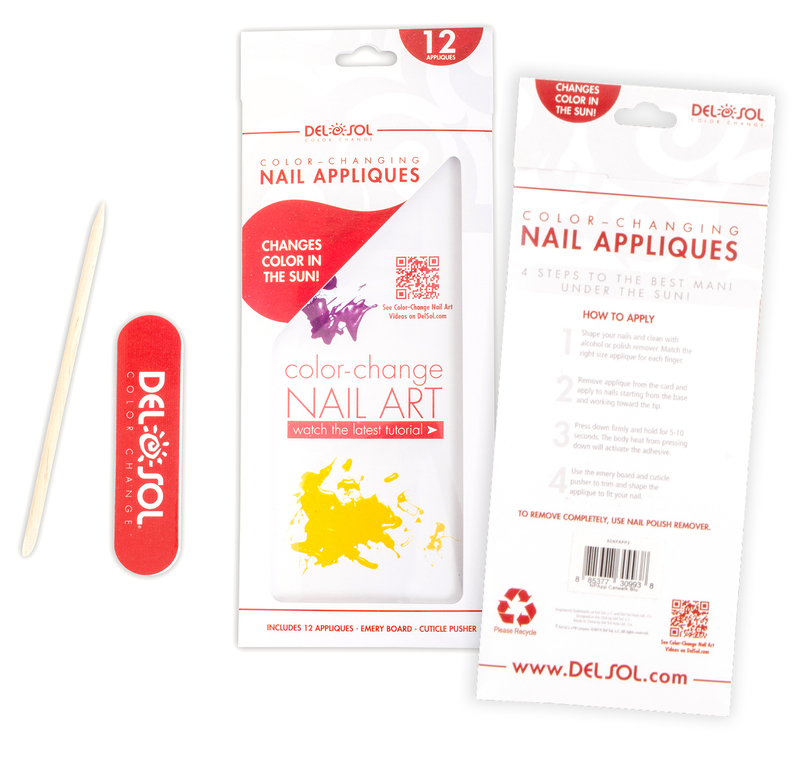 Designed the window area of the packaging to advertise Del Sol’s Nail Art YouTube channel. 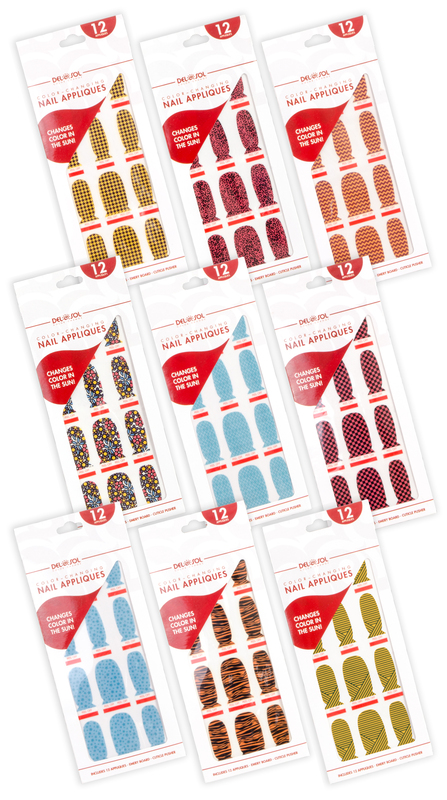 Worked with Product, Packaging and Store Design team to create a package that could be used universally with every color of Applique. Designed 9 colors of Appliques that all change color in the sun. Designed the opening to have clear plastic to allow nail file and cuticle pusher to remain inside the packaging. Utilized the window space to show off YouTube Nail Art videos.